This was the 1st meet of people living in Goa who cared about coming together to work as a team to help tackle the various environmental problems in Goa. All participants were from North Goa, so discussions centered around activities in the region. Some of the collaborating communities and their representatives who were present – Puja Mitra & Roxanne Coutinho from WWF Goa, Darryl D’Souza & Minakshi Singh from The World United Goa, Peter Fernandes, Fred Bartu & Sandra Bartu from Permaculture Goa, Iris Gomes from Prutha Goa, Kai RW from 350 Degrees, Thangamma from Saraya Goa, and Darryl D’Soza from NGO Live Happy. Everyone introduced themselves, also giving a brief of their interests and projects and discussions on the same. Cross interests and collaborations were discussed and a few ideas on environmental improvements were discussed. This was followed by Kai RW presenting a working model of a Climate Change group. Details are in the pics below. 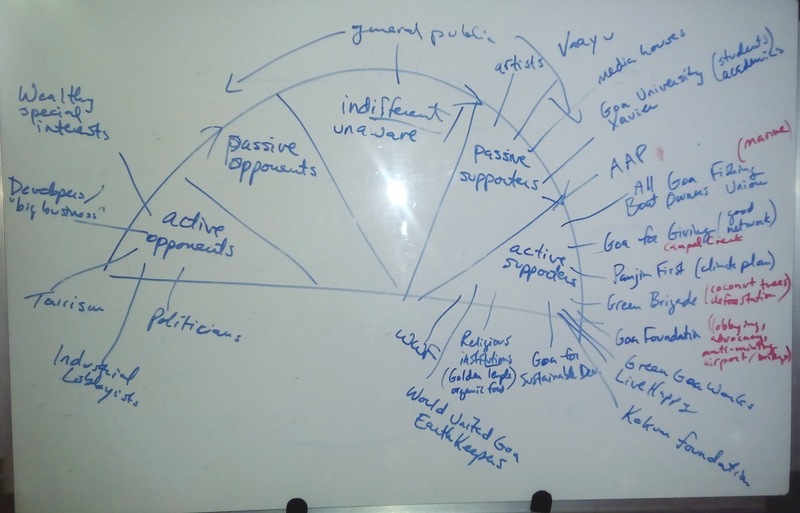 Darryl D’Souza summarized proceedings of the meet and suggested a multi-layered structure of working, that would help address all aspects of each campaign the group pursues. 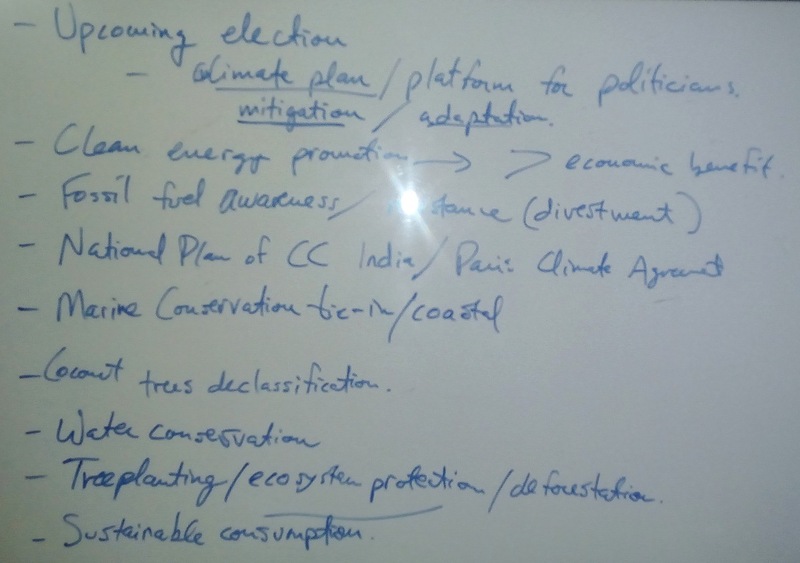 Towards the end of the meet, it was decided that in the next meet, Kai RW will present more details on how to structure a working model of a Climate Change group. So this 1st meet was a good start with enough enthusiasm and vision to take things forward.